Sushi, Cream Cheese And Caviar. 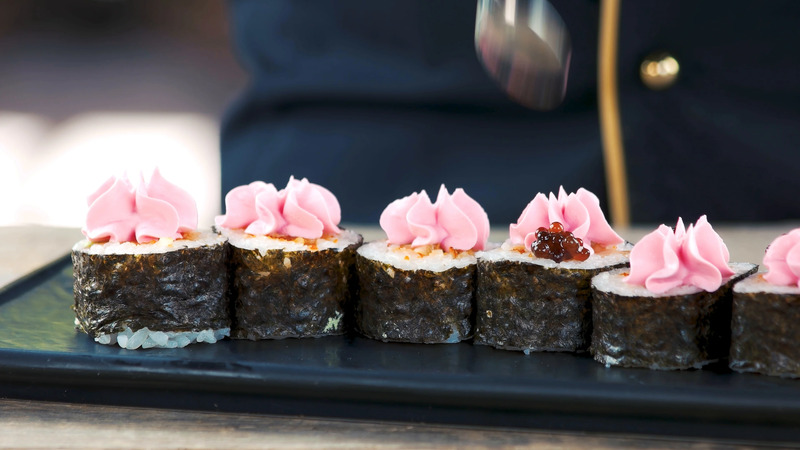 Description: Sushi, cream cheese and caviar. Delicious maki rolls close up.